More and more users are looking for a NAS system with impressive performance, due to the increasing demand for data storage, sharing and multi-media processing. This affordable Intel quad-core TS-451+ provides an uncompromising high-performance scalable storage solution for professional users. The QNAP TS-451+ is an easy-to-use yet powerful NAS built for data backup, file synchronization and sharing, remote access and multimedia applications, it boasts the intelligent QTS 4.2 as its operating system. Plus, it is ideal for users to create a secure private cloud to access their data easily. The Virtualization Station transforms the TS-451+ into a 2-in-a-box NAS that can function as an all-in-one NAS and a virtualization platform that supports multiple operating systems, fast VM creation, VM backup and restoration, VM import/export, snapshot, Device Management for centrally managing VM, and enables desktop operations on web browsers. With the easy-to-use interface, you can centrally manage all of the VMs created on the TS-451+ with minimal effort. You can also download VMs on demand from online VM markets and import them to the TS-451+ without any complex procedures. QNAP Container Station exclusively integrates LXC and Docker® lightweight virtualization technologies, allowing you to operate multiple isolated Linux systems on the TS-451+ as well as download apps from the built-in Docker Hub Registry. It supports container import/export and permission settings, and features an informative dashboard and flexible user interface for you to manage multiple containers. You can experience the amazing Container Station and enjoy the playground of virtual containers with the TS-451+. Container Station also supports Online Document app, which allows you to directly view, edit and store files of various types anytime on your NAS, including Office documents, images and text files. Use your TS-451+ as a multi-zone multimedia system to fill every corner of your house with your choice of media. You can centrally manage and stream photos, music and videos from the TS-451+ to different rooms from a single device using Bluetooth and USB devices connected to the TS-451+ (for music streaming only), HDMI, DLNA, Apple TV and Chromecast(to stream multimedia via Chromecast, you must first install the multimedia extension pack from the QTS App Center). Every room member in different zones can enjoy the convenience and simplicity for media playback and multimedia storage. Alternatively, to enjoy multimedia yourself, you can choose DLNA-compatible devices, use the Qfile app on an iOS device to browse videos/photos and play on the TV via Apple TV, or transform the TS-451+ into a powerful streaming machine with DLNA, Roku, Amazon Fire TV, and Google TV support with the support of Plex Media Server. The web-based File Station enables you to easily upload, download, and manage files on your TS-451+ wherever there is an internet connection. Supporting file extraction, folder creation, and smart search for files and folders, the File Station also allows you to easily share files with colleagues and friends via unique URLs, email, and a shared space. What's even better, you can also directly browse and transfer files between the TS-451+ and public cloud services like Google Drive, Dropbox, Microsoft OneDrive, Box, Yandex Disk and Amazon Cloud Drive through File Station, and view files with Office Online and Google Docs or directly open them with a Google Chrome office extension. This technology supports real-time and scheduled data backup on Windows including Outlook email archiving. Apple Time Machine is also supported to provide Mac OS X users with a solution to effortlessly back up data to the TS-451+. The front panel USB 3.0 port on the TS-451+ features a one-touch-copy function for you to instantly back up data on external drives to the TS-451+ with just one click, or alternatively to back up data from the TS-451+ to external drives. A wide range of third-party backup software such as Acronis® True Image and Symantec® Backup Exec are also supported. The TS-451+ offers various data recovery options. RTRR (Real-Time Remote Replication) supports real time and scheduled data backup to remote QNAP NAS or FTP servers and synchronizes files to remote folders from local folders with better backup efficiency. You can enjoy backup versioning to preserve a certain amount of versions, with options of simple versioning to schedule how many versions should be retained and for how long, or smart versioning with a rotation scheme that automatically replaces earlier backup versions. The TS-451+ also supports rsync protocol to back up data to remote servers on a scheduled basis. Data can also be backed up to and restored from a range of cloud storage services, including Amazon S3, Amazon Glacier, Microsoft Azure, ElephantDrive, Dropbox, Google Drive, Google Cloud Storage, and more. Qsync utility turns your TS-451+ into a safe, large-capacity data center for file synchronization. Any file uploaded to the TS-451+ will be made available for all linked devices, such as computers, laptops or mobile devices. Qsync is especially useful for frequent travelers to manage files and always have the most up-to-date files on different devices. Qsync provides multiple ways of file synchronization and group file sharing, greatly enhancing the flexibility of team projects and collaboration. It also supports centralized configuration, and allows you to remotely erase the Qsync folder on a lost device to avoid data breaches, and even restore it after you have retrieved the device. You can also install the Cloud Drive Sync app from QTS App Center to easily sync files with Google Drive and Dropbox cloud storage. The TS-451+'s Surveillance Station offers a professional surveillance solution with a user-friendly management interface, a wide range of over 3,000 compatible IP camera models, and expandable IP camera channel licenses. It supports real-time monitoring, video and audio recording and playback with a wide range of customizable settings. You can also install the Vmobile app on your iOS or Android devices to manage the monitoring of cameras anytime, anywhere, to safeguard your office environment, or install the Vcam mobile app to turn your device into a network camera to instantly record to your TS-451+. The TS-451+ offers 2 free IP camera channels and you can expand up to 40 channels by purchasing additional licenses. The TS-451+ is your private cloud storage that virtually enlarges the capacity of your smart mobile devices. Qfile allows you to access, upload, download, manage, and share stored files easily as if you are carrying tons of files in your pocket. If Qfile is installed on an iOS device, users can also browse videos and photos stored on the TS-451+ and play on a TV via Apple TV. Qmanager lets you monitor and manage the TS-451+ remotely and efficiently without turning on your PC. You can take and share digital notes with Qnotes, and enjoy and share music, photos and videos on the TS-451+ anywhere and anytime with Qmusic, Qphoto and Qvideo apps. The TS-451+ has a built-in App Center that provides various install-on-demand apps developed by QNAP and third-party developers, including tools for backup/sync, business, content management, communications, download, entertainment, and much more. It is also a centralized location for managing and updating installed apps. 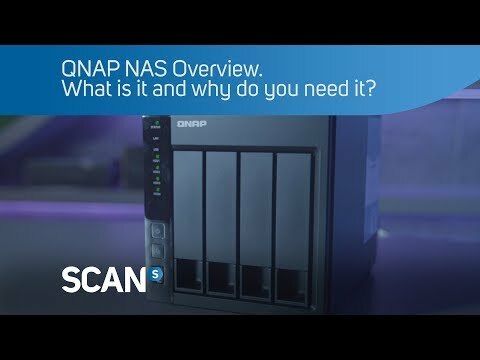 In addition, QNAP's development platform embraces the open-source spirit to enable developers to create their own apps, adding potentially limitless potential for the TS-451+. 4 Bay Qnap TS-451+-2G NAS Intel Celeron 2.0GHz Quad Core, 2GB DDR3L, SATA 6Gb/s, 2 x GbE, hardware transcoding is rated 5.0 out of 5 by 1. 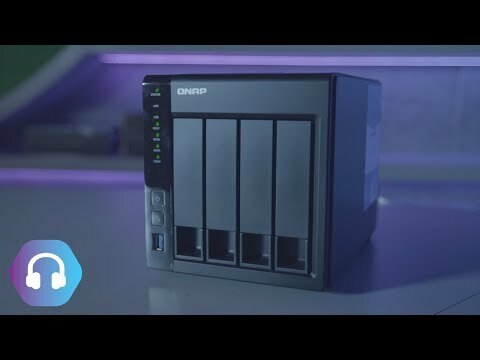 Rated 5 out of 5 by Tophound from Plenty of grunt and long term support I've had a QNAP two bay TS-219 for a number of years. QNAP's firmware upgrades have allowed it to still be useful today, despite outliving several generations of PCs. I needed a bigger and more powerful NAS with further futureproofing so eventually selected the TS-451+. While a significant step up in price, I've not regretted the purchase. My current configuration uses a pair of 4TB WD Red WD40EFRX drives in a RAID 1 array. Installation and configuration was easy and it has now been running for over a month without any problems. Everything is much quicker than my TS-219 and I'm very pleased with the end result. Does this model come with the Qnap remote control?